Parker Kray, a UIU ag business major and Peacock pitcher from Center Junction, Iowa, stands alongside the two Farmall tractors that have earned him Iowa State Fair Grand Champion Tractor Restoration awards. Working on the family farm near Center Junction, Iowa, Upper Iowa University senior Parker Kray always had a passion for all things agriculture. While the Krays own a commercial cow-calf operation and produce approximately 250 acres of corn, soybeans and hay, one of Parker’s biggest obsessions is the homestead’s modern-day workhorse — the tractor. In fact, his interest in the implement goes far beyond traditional farm chores; restoring ones that have been retired to pasture has turned into a prize-winning hobby. A two-time Iowa State Fair grand champion in tractor restoration, the UIU ag business major recalls spending every waking moment beside his father, Vic, while growing up. 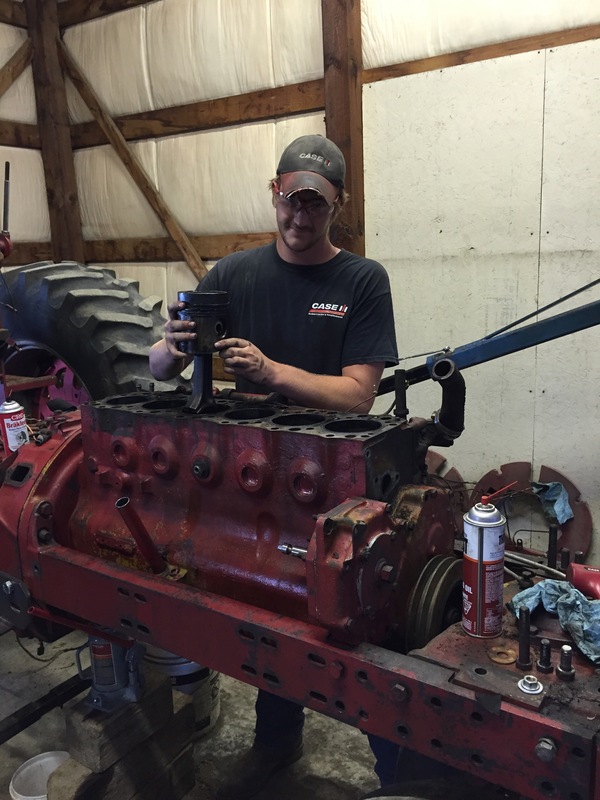 Observing and working alongside his dad, who has been a mechanic and service manager at the local CASE IH dealership for 43 years, Parker became mechanically adept at a very young age. 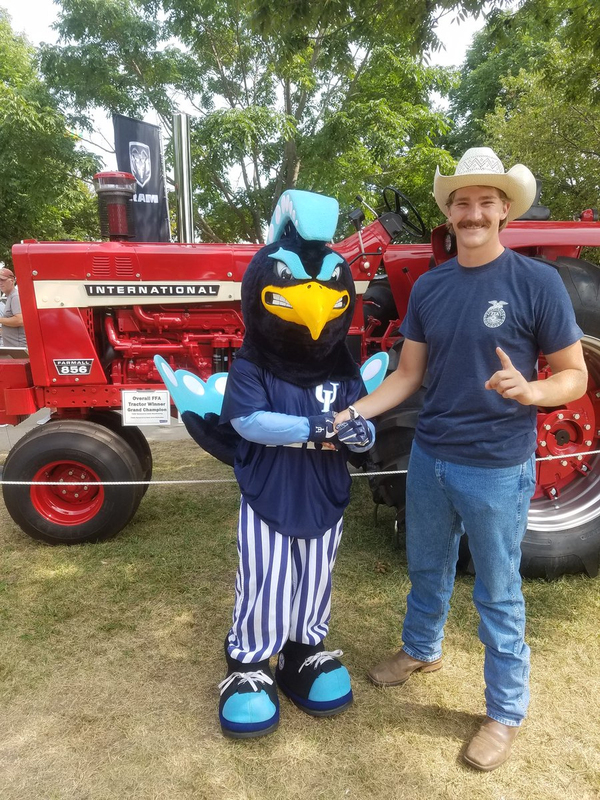 Parker Kray fit his newest tractor restoration project into a hectic schedule that included his UIU college education, pitching on the Peacock baseball team and helping on the family farm. It was while he was attending Monticello High School that Parker and his grandfather, Don Ketelsen, began talking about the idea of restoring a tractor to use on the farm. An active member of the school’s FFA chapter, Parker also realized he could use this as a potential chapter project. Unfortunately, Don passed away before he witnessed his grandson start restoring his first tractor in 2014. Parker’s first project, a 1963 Farmall 806, was discovered sitting in the weeds on a farm property while he and his father were on their way to deer hunt. Then a high school junior, Parker would compile over 525 hours in six months, disassembling and reassembling every piece of the equipment before sandblasting and painting it. He would be awarded for his efforts when he placed first in the Iowa State Fair First Year Restored Tractor Division and was later named Overall Grand Champion out of the 107 entries. FFA allows for individuals to remain active members of their high school chapter for up to four years after graduation and Parker, the former Monticello FFA Chapter sentinel, did just that. In doing so, he completed his second restoration project this past year. He actually discovered this year’s State Fair entry, a 1969 Farmall 856, while looking for parts for the 806 on a rural Anamosa farm. Parker fit the newest project in a hectic schedule that included his college education, pitching on the Peacock baseball team, and helping on the family farm. Parker enrolled at UIU because he was looking to attend a college where he could pursue an ag business degree and play baseball. After arriving on Fayette Campus, he quickly appreciated the small town atmosphere, small class sizes and session schedules. 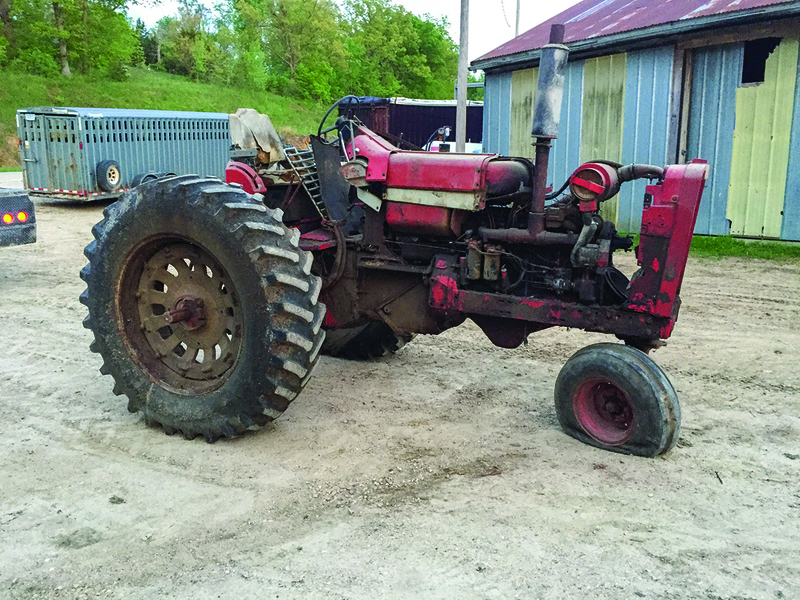 Parker Kray’s first restoration project, a 1963 Farmall 806, was discovered sitting in the weeds on a farm property while he and his father were on their way to deer hunt. Although the restoration of the 856 took fewer hours, it was completed over a two-year period. The hard work and dedication culminated with the 2018 Iowa State Fair first place award in the 1959 & Newer Tractor Division and another Overall Grand Champion trophy. Pete congratulated Parker Kray on his 2018 Iowa State Fair championship entry. Although his FFA eligibility has expired and he will no longer be able to show at the State Fair, Parker has already started acquiring future restoration projects. After graduating from UIU in the spring, Parker plans to continue working on the family farm. He hopes to one day manage it himself, with plans to expand the cattle herd and production acres. Of course, his lifetime goal is to eventually own and operate his own tractor restoration shop.